When I got my vaccine last Monday I had good reasons to go to My Singapore Food Street in Megamall. Imagine me being so happy because I finally found a place that sells ROTI! I first saw it from Animetric's World post when she visited the place. And I said to myself that I needed to go there. Buti na lang may appointment ako dun! Dumadahilan na naman ako! The place looks nice and simple with white wooden chairs and table. The place is spacious too. 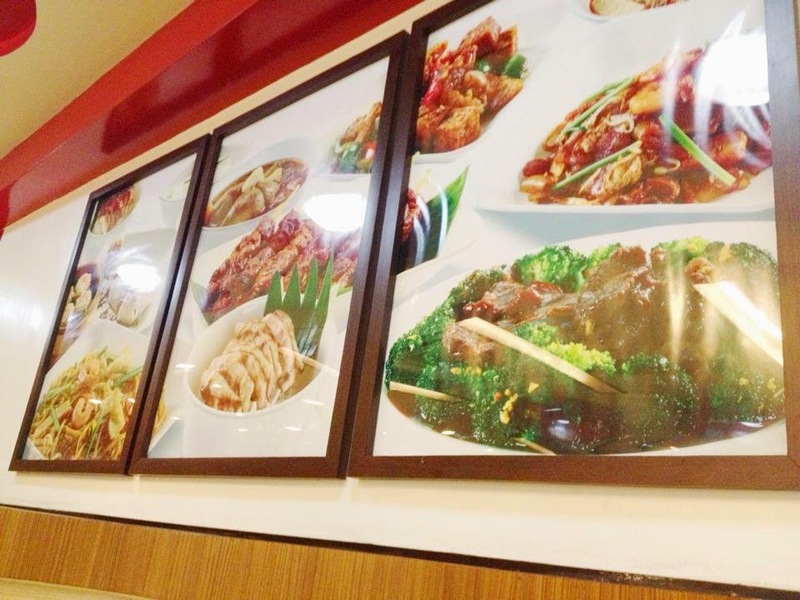 There are pictures of food at the wall that will make you drool. 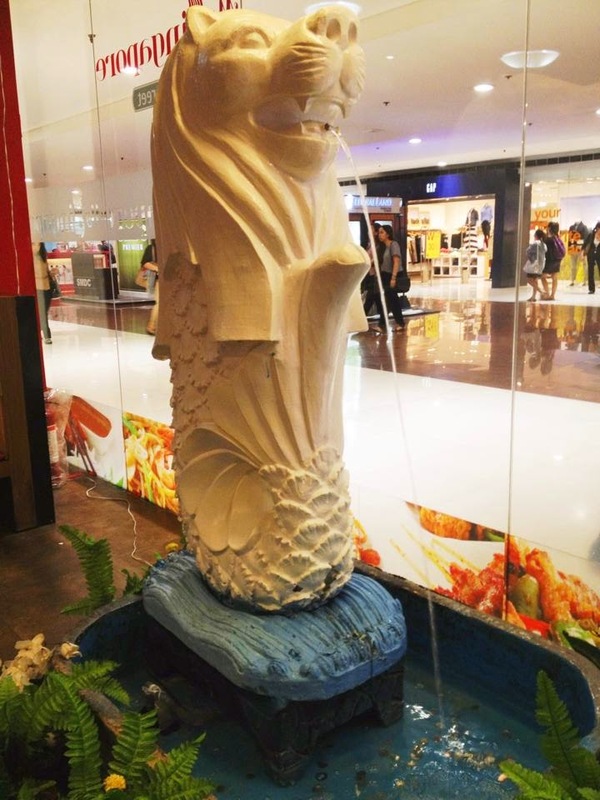 There is also a Merlion in-front of the restaurant. In Malaysia, restaurants that sell good food are on the sidewalks. Yung tipong parang carinderia lang dito sa 'tin. But believe me sobrang sarap ng mga pagkain nila and its super affordable. So when I was there, my mom will always let me taste different kinds of food especially the local foods. I already post about my favorite Malaysia's Delicacies here. 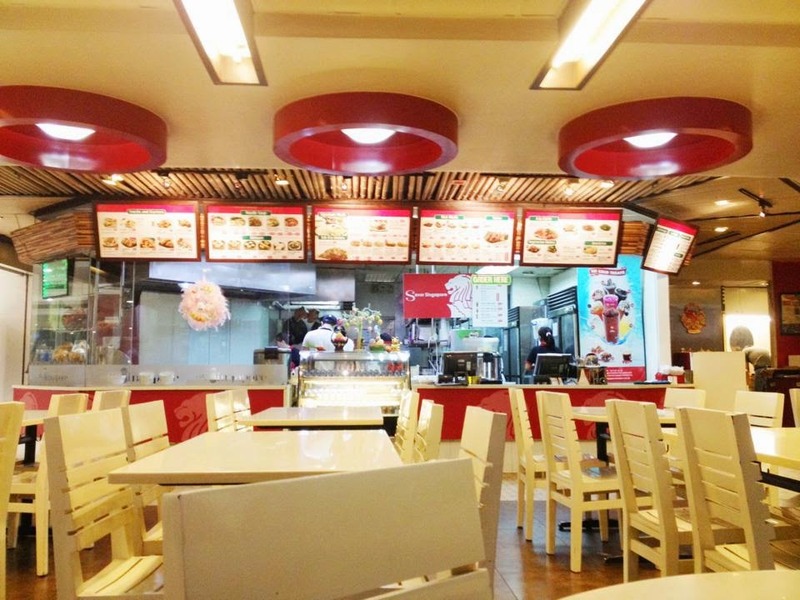 When I went home here in the Philippines, I can't stop craving about their food. And the hard part is I can't find a resto that is near our office or near our place. 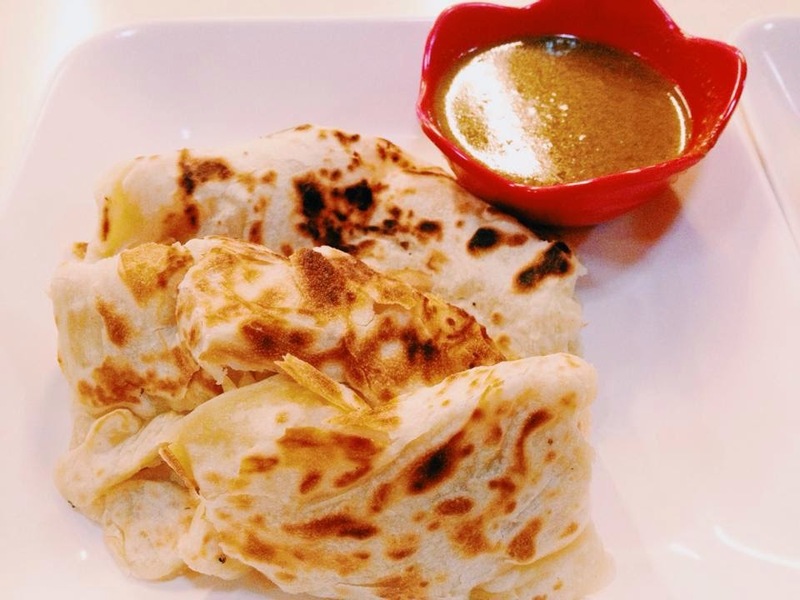 My former boss already mentioned that there is a version of Roti in Banana Leaf, Trinoma. But I don't have time to go there. 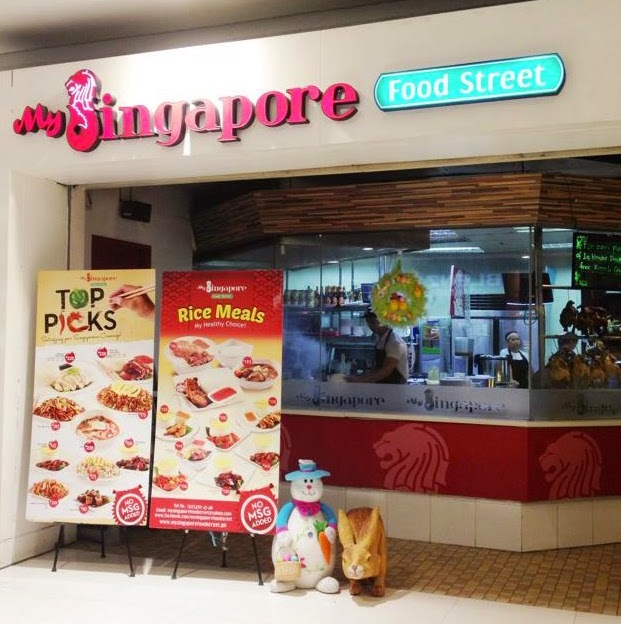 Thanks to my appointment, I finally got a chance to try my favorite delicacies in My Singapore Street Food, SM Megamall. My Singapore Street Food is like a fast food chain where you need to order at the counter. Before going there I already decided that I will order for their Roti and Teh Tarik. But I ordered for Mee Goreng too just in case na matagal akong hindi tutungtong sa Megamall. Nyahahah! 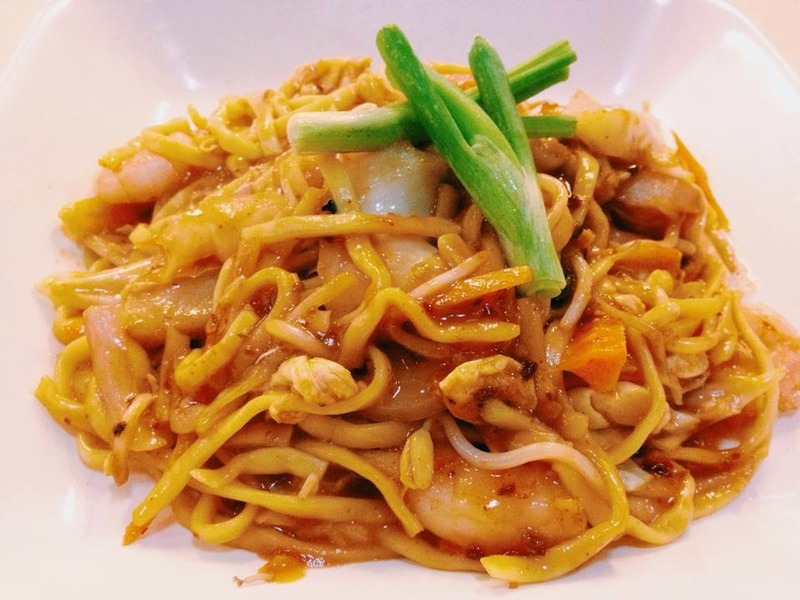 Mee Goreng is a noodle dish that was derived from Chinese Cuisine. It has shrimps, Chinese cabbage, chili, and meatballs. It was not the appearance that I was expecting for Mee Goreng but it was delicious. It was sweet & spicy at the same time. There are enough shrimps and the noodles are not overcooked. 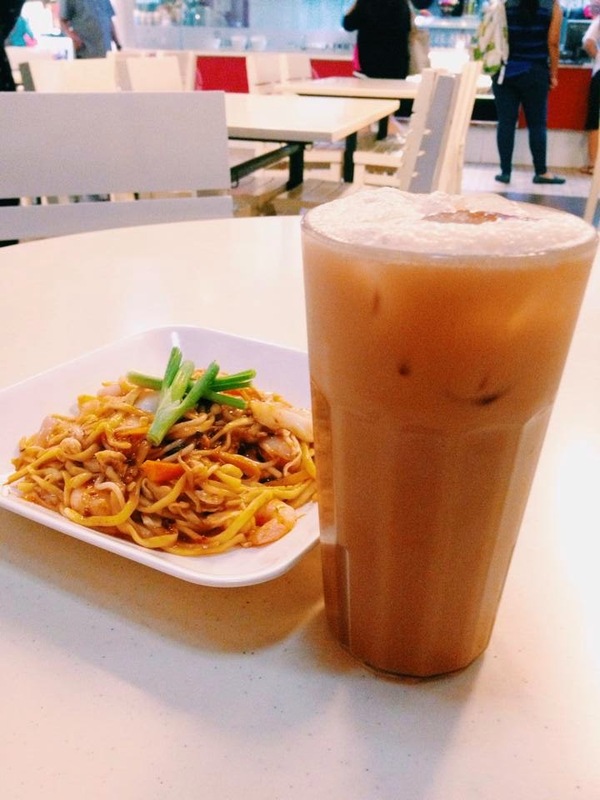 Teh Tarik literally means "pulled tea" which is common in Malaysia and Singapore. It is made from black tea mixed with condensed milk or evaporated milk. In Malaysia, you can see from the outside of the resto, how they do the tea pulling. I was a little sad with their Teh Tarik. From the image you can see that its a bit malabnaw including the taste. There was something missing to it. 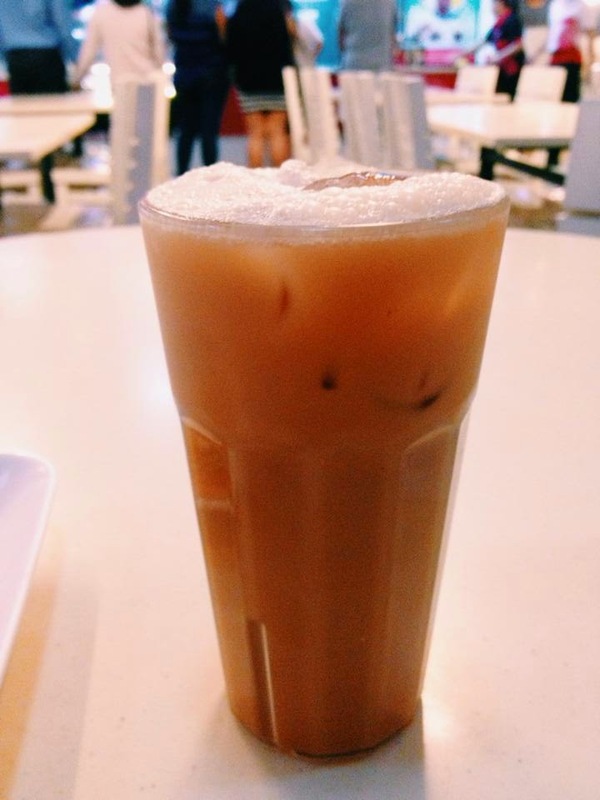 The Teh Tarik in Malaysia is still the best though. Now let's go to my favorite of all. Taking my first bite to their Roti Pratha, I smiled immediately. It was the Roti that I was expecting! I can already imagine myself in Malaysia again. They only offers curry or condensed sauce. In Malaysia there are 3 dips; mint, curry, and dal sauce. The dal sauce is my favorite. While here in My Singapore Food Street, their curry is not that spicy not unlike the one in Malaysia. It was tolerable and I love it! I was really happy munching and finishing it all. The service is quick and I will definitely, definitely go back to this place.